• Sure Fit InformationWhy replace your worn out original air conditioning system with our Vintage Air “Sure Fit” series? Finding a part for your vintage automobile is not always easy. We understand that you want an easy, hassle-free shopping experience. That is why at Vintage Auto Air Conditioning we carry a wide array of air conditioning products specifically for the classic car owner. If you are wanting your classic car to have a state-of-the-art air conditioning system without compromising any of its classic appeal you have come to the right place. We have been a Vintage Air Top 10 Dealer for the last 11 years (from 2008-2018) and carry a wide range of products to meet your classic auto air conditioning needs. Vintage Air offers a superior quality product and Vintage Auto Air Conditioning offers customer support to match. You can depend on each Vintage Air product having the latest technology available, great efficiency and reliability. The depth of the Vintage Air product line is designed to provide integrated solutions to every vintage and performance air conditioning application need. If you have a vintage vehicle, we have an air solution for you. Vintage Air is referred to as the "World's Fastest Air Conditioning Company" and for good reason. 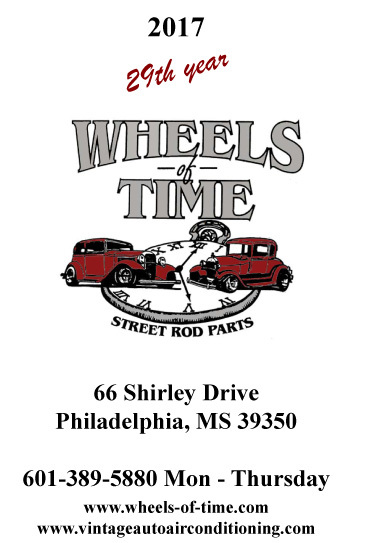 They have received more industry awards than any company in the street rod air conditioning industry. If you want the best that is exactly what you will get with your new air conditioning system from Vintage Auto Air Conditioning.